Swami Kashi supports Warriors at Ease as a retreat leader and faculty member. He was born in Israel and served in the Israeli Army as a Special Forces soldier. When he was 25 years old, he happened to visit the Sivananda Yoga Center in Tel-Aviv and took a yoga class. This was a turning point in his life. He started practicing yoga regularly and began studying the philosophy of yoga and the spiritual aspect of yogic life. In 1998, he took the Sivananda Teacher Training Course in the Sivananda Ashram Yoga Retreat in the Bahamas, after which yoga became the center of his life. In 1999, he decided to become a Brahmachari (monk) and joined the Sivananda Yoga Center in Tel-Aviv as a staff member. 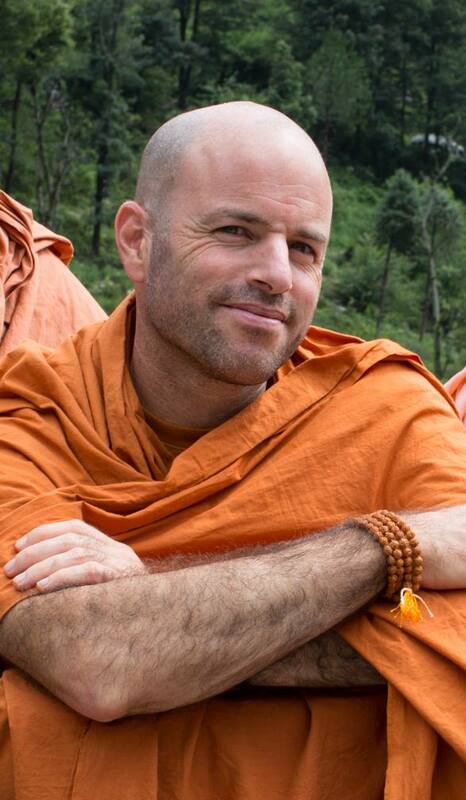 In the year 2000, he completed a BA degree in Computer Science and Management and moved to India where he was fortunate to live very closely and learn from Swami Chaitanyananda, who is a direct disciple of Swami Sivananda of Rishikesh. Today Swami Kashi pours his heart into sharing the teachings of yoga through retreats, pilgrimages and workshops across the globe. He has a true compassion and love for veterans and a unique ability to bridge the life of the warrior and the life of a yogi.